WesternU’s Master of Science in Biomedical Sciences (MSBS) graduates from the traditional concentration will be sought after in academia, the biotech industry, and both public and private research institutions. The success of our students will be the result of our students’ dedication, the curriculum, our faculty’s commitment to teaching and learning, and the Graduate College of Biomedical Sciences’s emphasis on interdisciplinary research. This two-year Master of Science in Biomedical Sciences (MSBS) program will provide you a unique curriculum across many different biomedical disciplines. You will also have an opportunity to obtain internships in Southern California companies and organizations as well as the opportunity to study abroad in France. This cutting edge program prepares you for numerous exciting and rewarding careers in Health Care Bioinformatics, Biomedical Intellectual Property, Regulatory Sciences, Food and Nutrition Science, and Translational Sciences. A minimum of 40 semester credit hours is required for completion of the MS program. This includes 34 hours of didactic study (both required and elective courses) and 6 hours of research credits leading towards a thesis. Review the Course Listing in our Catalog For more detail regarding the curriculum, please review the course descriptions (PDF) in our University catalog. MSBS faculty are typically faculty in one of WesternU’s eight other colleges. Their areas of research include neuropharmacology, physiology, pharmaceutics and drug delivery, pharmacokinetics, genetics, environmental toxicology, molecular immunology, avian influenza, systems biology, cancer therapeutics, HIV and neurodegenerative diseases. Faculty research is funded through a variety of public and private grant programs. WesternU is a thriving academic health center spread out over 22 acres in Pomona, CA. The main campus includes 19 major buildings. As a Biomedical Sciences student you would primarily use classrooms and labs in the University Research Center and 3,600 square feet of research laboratories include cell culture and other facilities, a dark room, and a multi-species animal facility with the latest equipment to support faculty and student research. 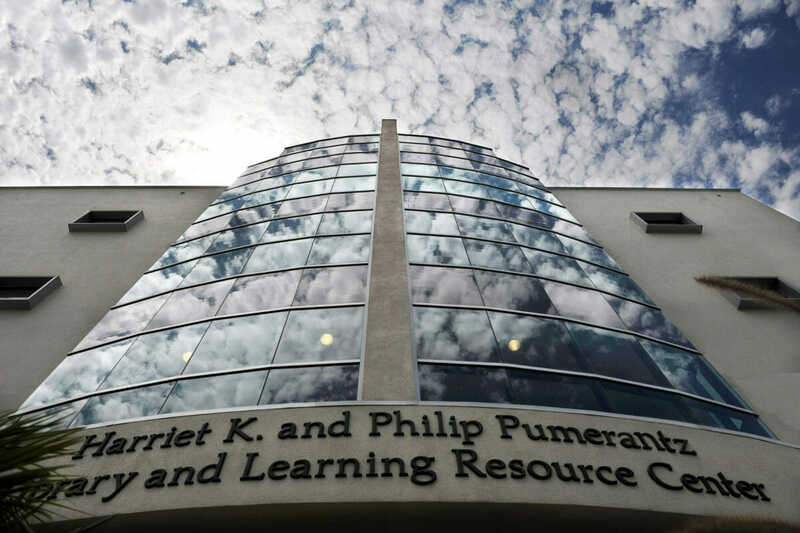 You will also make use of the Harriet K. and Philip Pumerantz Library, a four-story 34,000-square-foot building renovated in 2001. The library features hard-wire and wireless capabilities for laptop use in any room; group study rooms and numerous study carrels; and two computer labs. The library’s collection is extensive with over 27,000 volumes and journal subscriptions to over 500 print journals and access to more than 9,000 electronic journals. Electronic databases are available both on-campus and off-campus through the Library’s e-resourse page.